An illustration of three fluffy giraffes to decorate your children's bedroom. 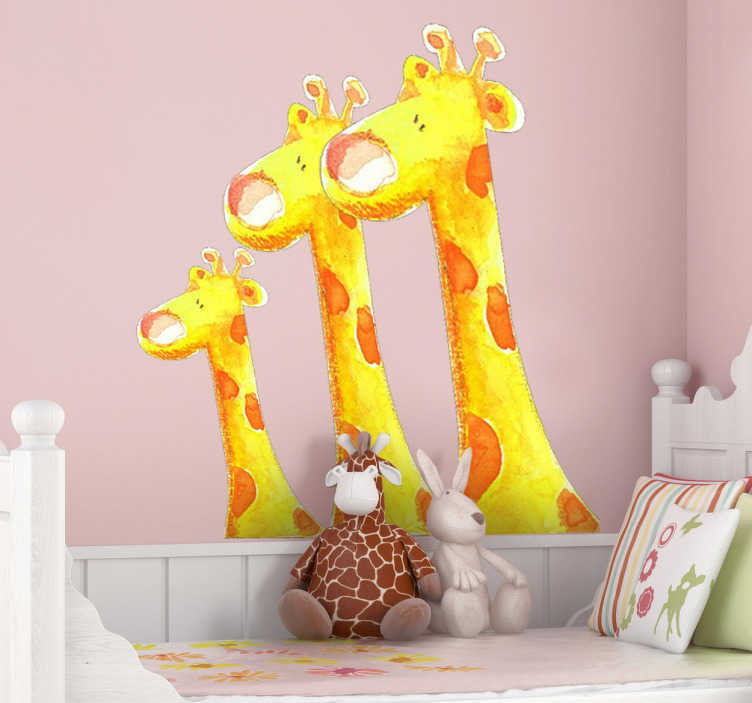 A splendid giraffe wall sticker for the little ones. Great for children who have a love for animals. If your children's bedroom or play area seem pretty empty and could do with some decoration then this high quality giraffe decal is perfect! It will create a fun and pleasant atmosphere for your kids. Exclusive illustration by artist Lol Malone. Made from high quality vinyl. Easy to apply and easily removable. Available in various sizes.